Wooden boxes are well crafted and with great finished feather touch surface. Ideal for packing of exclusive gift, crafted with decoupage. 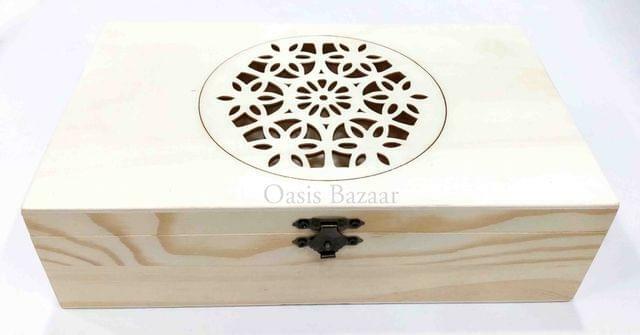 Wooden boxes gives enhanced platform for crafters to give wings to their creativity.. Ideal for decoupage, sospeso, punch craft, quilling etc. It's a perfect gifting idea and can be used as an ideal decorative item also.It's ideal to be used as a jewellery box or to store other valuables.